Rune Master Puzzle by Mad Dwarf is not your typical match 3 game. It provides players with total freedom to move their tiles around to match at least 4 rune stones vertically, horizontally and diagonally. The Rune Stone can be moved (select swap or drag) in any direction: horizontally, vertically or diagonally. One Spirit is consumed when a Rune Stone is moved. The game is over when all of the Spirits are used. Swap to match 4 or more of the same matching Rune Stones horizontally, vertically and diagonally. 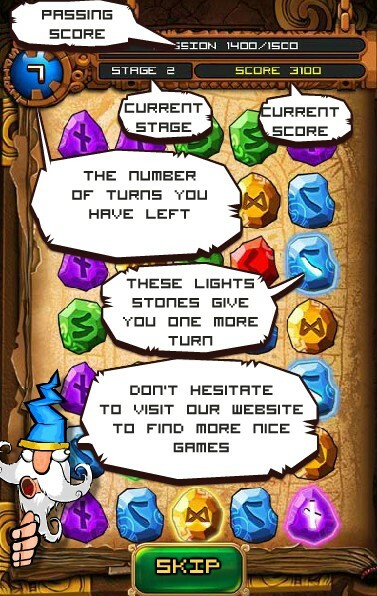 Matched Rune Stones will disappear while acquiring more scores and more Spirits. More Spirits can be collected by matching the Spirit Stones (stones that are shiny). 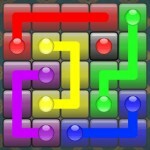 Rune Master Puzzle is a match 3 game that looks familiar and yet different. 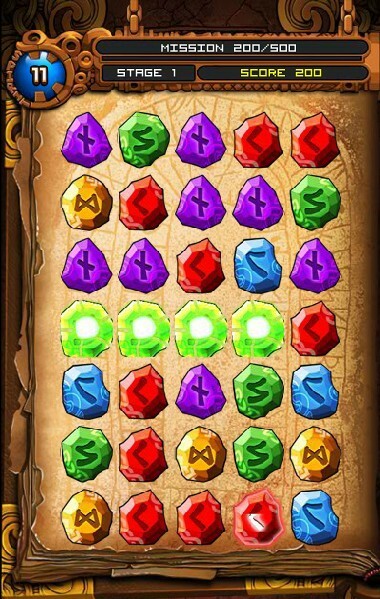 The typical match 3 games such as Bejeweled and Candy Crush Saga allow one gem swap in order to make matches. In Rune Master, you can move your rune stones around as much as you can to create a perfect Match 5. The catch is, however, you have to make it count. Rune Master Puzzle limits the total number of swaps each round and you have to reach a certain score in order to progress to the next stage. This is what makes the game is fun, challenging and fresh. However, one complain that I have about Rune Master Puzzle is that the scoring is somewhat flawed. The game does not reward players any progressive bonus score for chain matches. I wish to see the developer to improve the scoring and consider adding more score bonuses for chains matches as it will open a different opportunity for more strategizing. 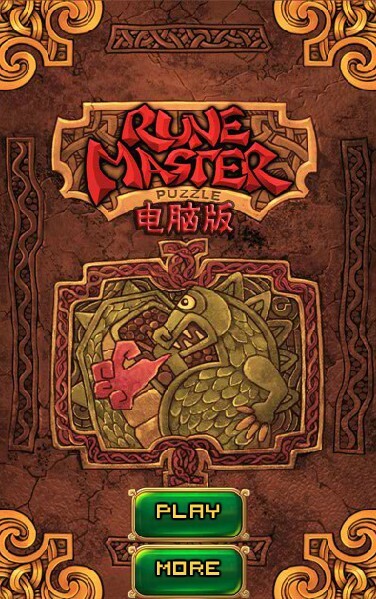 Overall, Rune Master Puzzle is a fun little puzzle game that I can play over and over again. Having a leaderboard would also add another dimension to the game to let people compete against themselves.